Maria Cassia Mendes-Correa graduated in Medicine from São Paulo University Medical School (1984). She made her Master and PhD in Infectious Diseases at the same University (1994-2002). She has been Director at the Brazilian Society of Infectious Diseases (2016-2017). 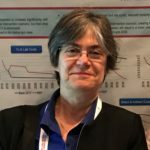 She is currently an Associated Professor, at Infectious Diseases Department, School of Medicine, Sao Paulo University, Brazil and coordinator at the Viral Hepatitis Outpatient Clinic, Hospital das Clínicas – School of Medicine, Sao Paulo University. She is Head at the Virology Laboratory (LIM 52) – Tropical Medicine Institute Sao Paulo University. She is also currently consultant on viral hepatitis at the HIV/Aids and Viral Hepatitis Department of the Ministry of Health of Brazil.